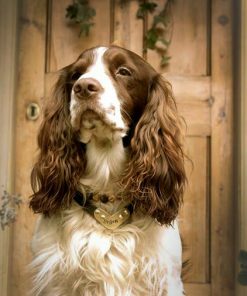 Your dog is beautiful, whether they’re in the show ring winning ribbons or on your couch hogging the best seat. 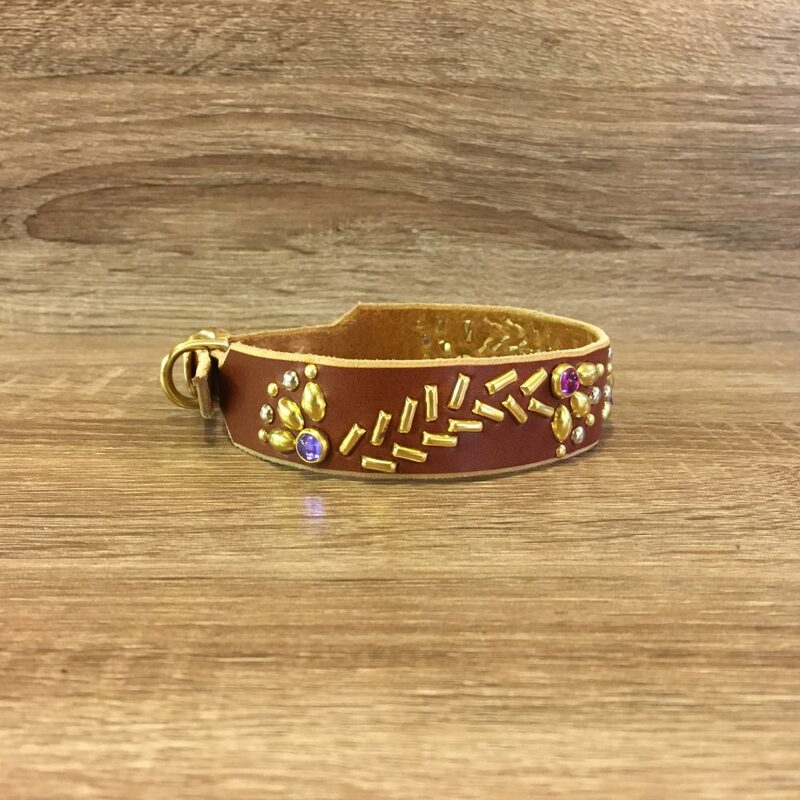 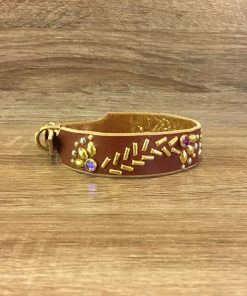 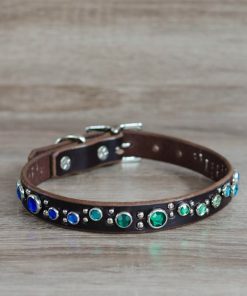 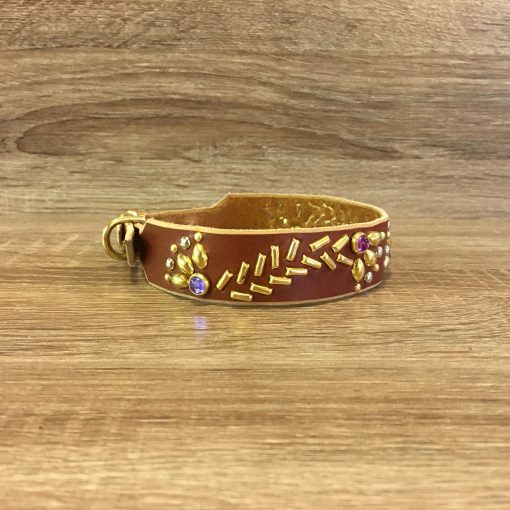 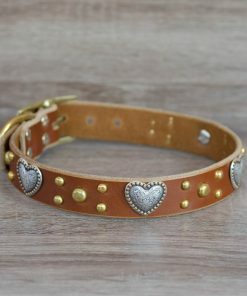 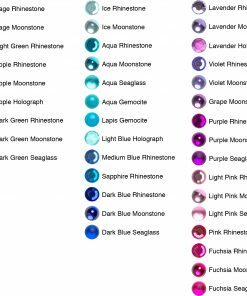 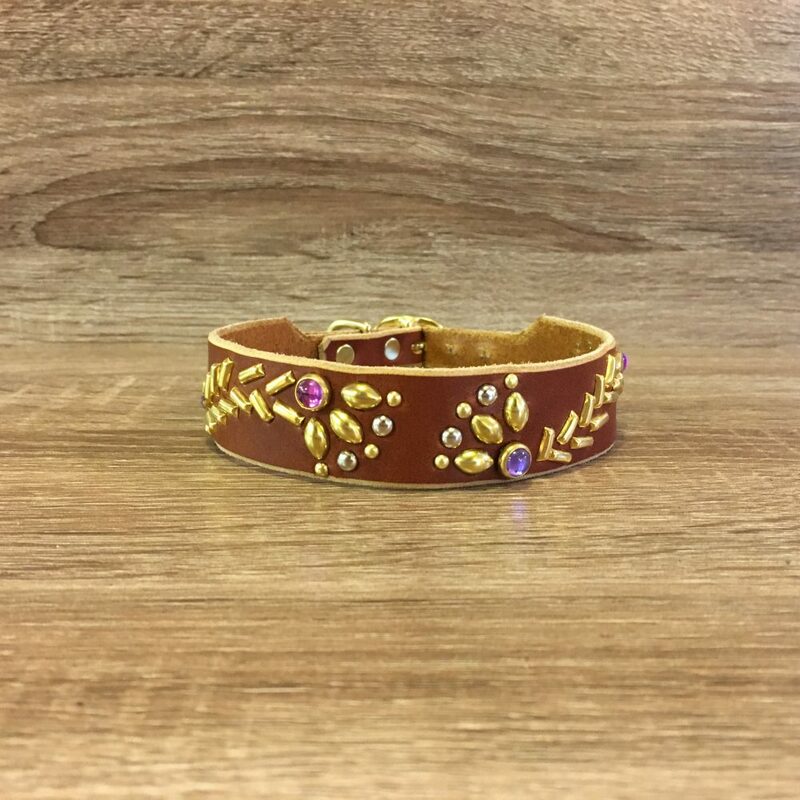 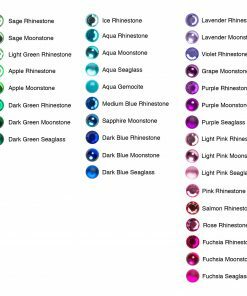 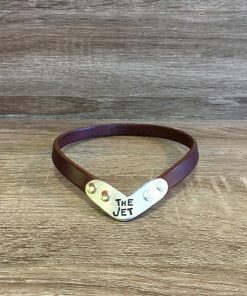 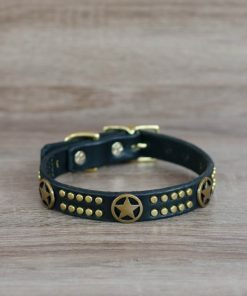 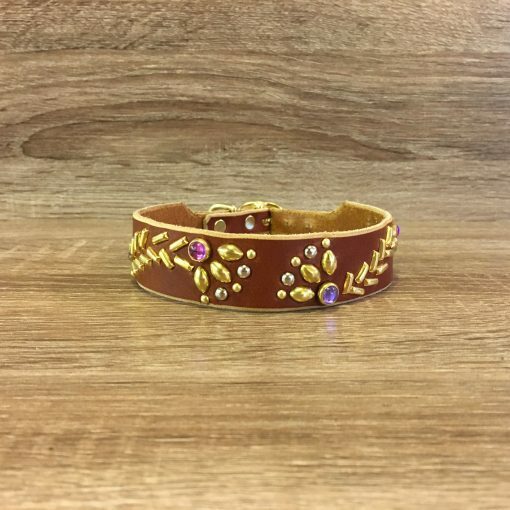 We can’t say this collar will be as beautiful as your dog, but with its flowing studs and glowing gems, it’ll sure do its best. 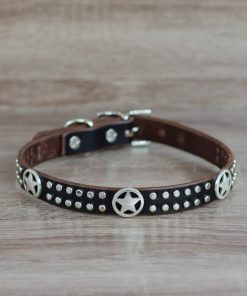 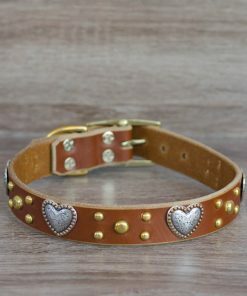 This 1” collar made of lightweight leather and tapered to a ½” buckle features 5/16” spots. 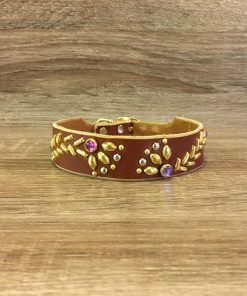 Bellisima!